Michael Foley, my high school Shakespeare teacher, was a known tyrant. As underclassmen, my friends and I would walk past his closed door, peer in the narrow vertical window, and see him gesticulating wildly at some hapless senior, blood vessels popping in his forehead. I would eventually discover that Foley wasn’t up there tearing into a student. He was channeling Othello, consumed with jealousy and demonstrating how pettiness can destroy even the most powerful of leaders. Foley did this with all of Shakespeare’s works, pulling out the most impactful bits and pouring his heart into them: impish Puck, Juliet at death’s door, and the gravedigger, woefully regarding Yorick’s skull. For me, at least, terror became inspiration. I’ve never forgotten him. In education there’s a lot of talk about standards, curriculum, and assessment—but when we ask adults what they remember about their education, decades after they’ve left school, the answers are always about their best teachers. So what is it about great educators, like the theatrical Michael Foley, that leaves such an indelible impression? If the memory of curriculum and pedagogy fades with time, or fails to register at all, why do some teachers occupy our mental landscape years later? 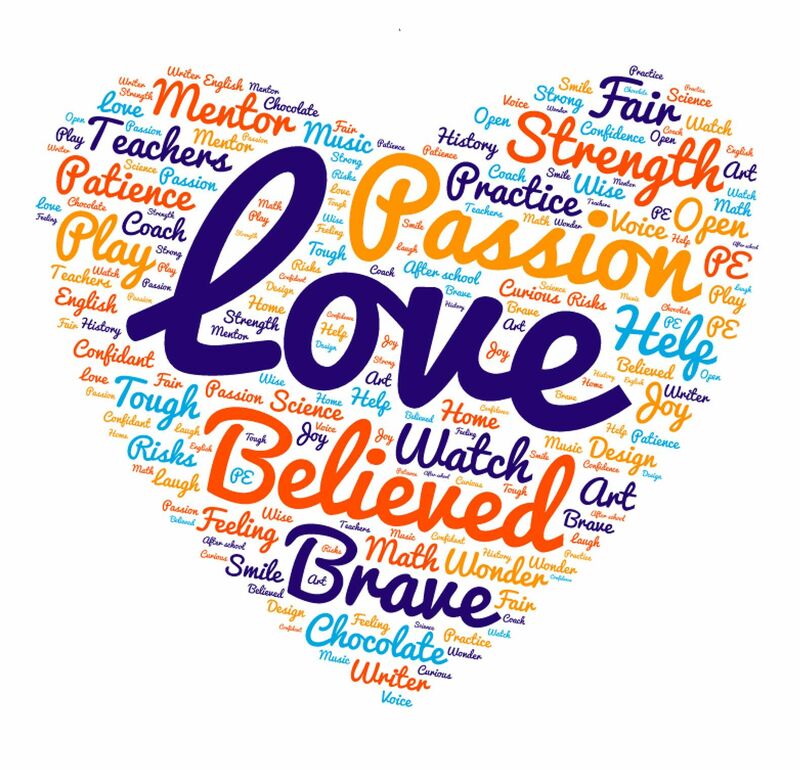 We started getting curious: What are the standout qualities that make some teachers life changers? To answer this question, we asked our Facebook community directly. Over 700 responses poured in from teachers, parents, and students. When we analyzed the responses, some clear patterns began to emerge, across all age ranges and geography—even subjects. The research is unequivocal: People can’t learn if they’re anxious, frightened, or in trauma. Safety is part of the education starter kit. Unsurprisingly, many of our readers recalled that the best teachers establish a culture of safety and support in their classrooms, whether it’s physical, emotional, or intellectual. 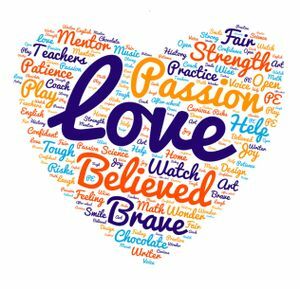 A passion for education is in the blood of the best teachers—the word passion showed up 45 times in our audience responses—and the best teachers pass it on to students. Learning can be slow and messy. Classrooms are filled with students—sometimes more than 30 at a time—who arrive each day with different emotional needs, and learn at wildly different speeds. Remarkably, life-changing teachers find a way to stay calm amid the chaos and play the long game, giving their students the time and support they need to learn. If life-changing teachers are patient, they also know when to change gears and get tough. They’re the teachers who challenge us to be better students and better humans—and then up the ante and demand that of us. The power of a teacher’s simple, unequivocal belief in a student was mentioned almost 70 times by respondents. Most of us have had some sort of self-doubt, but many students are crippled by it. Life-changing teachers have the gift of seeing potential in kids when others don’t, and then have the perseverance to help the children find it within themselves. Respondents used the word love a whopping 187 times (and that’s not counting an additional 157 heart emojis). Showing love for students—through small but meaningful gestures of kindness—is far and away the most impactful thing life-changing teachers do. Taking a step back, it appears that the most direct and longest-lasting way to reach a child—to really make a difference in his or her life—is through so-called noncognitive dimensions like passion, patience, rigor, and kindness. And when students are lucky enough to find a life-changing teacher, the benefits last a lifetime. In many cases, those students take up the vocation themselves: 145 of the people who responded to our question had become teachers, passing the gift of education forward to the next generation. As the Fool in Twelfth Night says, “There is no darkness but ignorance.” Thanks to all who are bringing the light.